For more than 80 years, Henges Insulation, has been insulating homes and businesses in the St. Louis area, just like yours. A well-insulated home is more energy efficient, comfortable and quiet, and will save you money on utility bills for years to come. 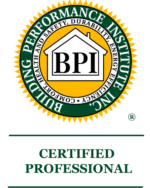 As an experienced St. Louis insulation contractor we can also provide tips and strategies for saving energy throughout your home or business. More about Henges Insulation St. Louis. A Henges Insulation technician will provide a complimentary energy inspection and uncover opportunities for savings and recommend the proper insulation for your home or business. Maximize your future savings as well as comfort when you build your new home, with Henges Hi-Tec Home Solution. A home remodel is the perfect time to retrofit with better insulation for a more quiet, comfort, and lower energy bills. Increase employee productivity while lowering energy costs by creating a more comfortable work environment. Our experienced installation team has installed bat and blown insulation at some of the region’s largest commercial properties, government buildings, schools. Contact us for a comprehensive proposal.